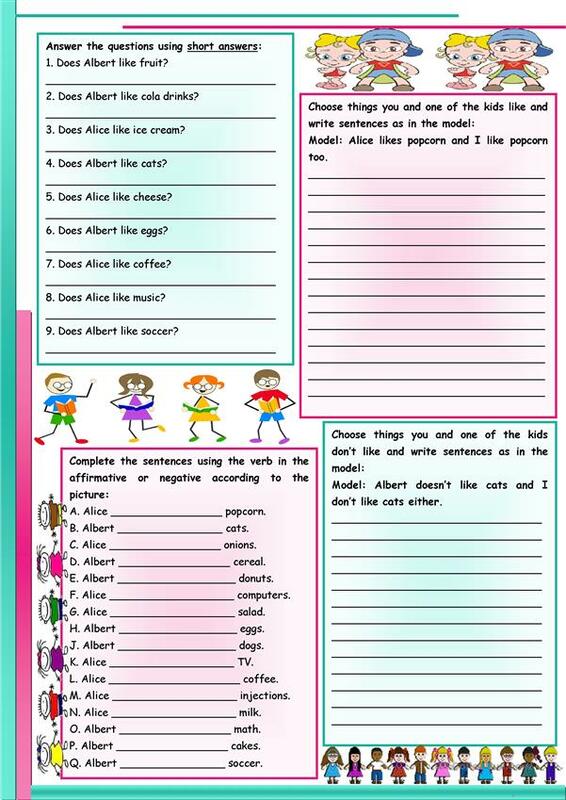 Students will have the chance to practice the verb to be, either, too and short answers while they state what the kids like and don’t like. They’ll also have the opportunity to write about their own likes & dislikes. Tasks included: 1) True or false according to the picture; 2) Short answers; 3) Negative / Affirmative of the verb to be (third person); 4) writing (too); 5) writing (either). The present downloadable handout is best suited for elementary school students at Elementary (A1) and Pre-intermediate (A2) level. 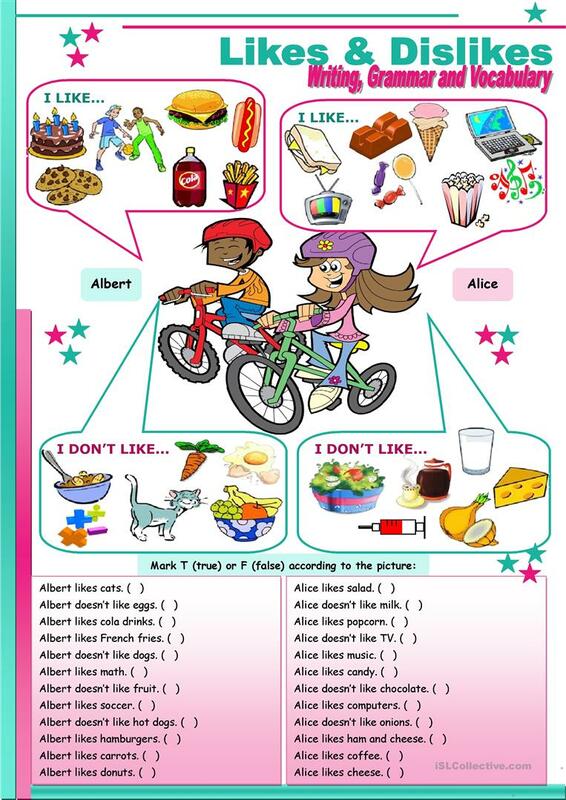 It is aimed at consolidating BE (auxiliary verb) in English, and is useful for strengthening your class' Speaking, Reading and Writing skills. It focuses on the vocabulary topic of Food.